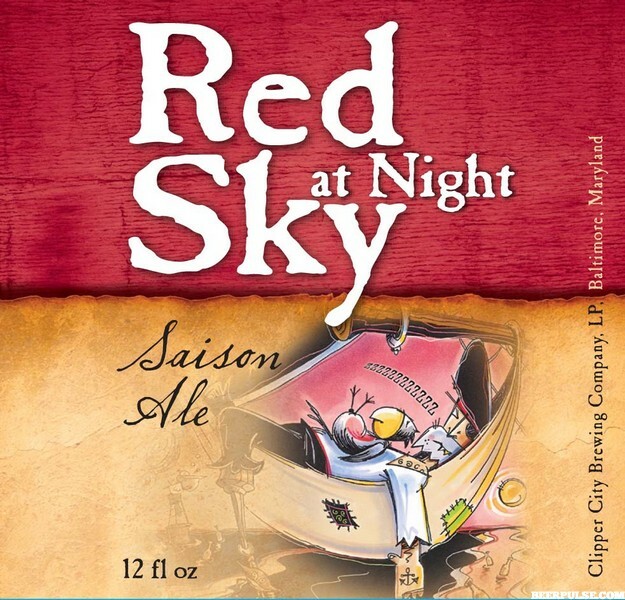 REVIEW: The Decemberists/ Heavy Seas Red Sky At Night Saison – Now Beer This! I listened to this record driving west on Connecticut Route 68 last week, following a sunset through wooded hills. It was one of those times when the scenery truly complemented the music. “The Wrong Year” is the song that I listened to first in December, when I first learned the new record was coming out. I think it is a really well-produced track. All of the instruments and vocals are heard when they are supposed to be, and it seems really well-rounded. There are a quite few upbeat tracks that stick in your head on this one. “Philomena” with its waltz-like tempo and “Anti-Summersong” with its call-and-response chorus are my two personal earworms. The lyrics are a little darker than the music, which is something that I have found the Decemberists to do very well. “Anti-Summersong” has this one line “I’m not going on just to sing another sing a long suicide song”, which to me suggests that so many of the happy pop songs we hear all summer are actually about something much deeper, not necessarily pleasant, and this singer refuses to be a part of it. The track “Better Not Wake The Baby” showcases my favorite member of the band, Jenny Conlee. I find her to be versatile in playing not only a variety of instruments, but also, in my opinion, the coolest ones- Hammond organ, accordion, melodica, and more. I get the vibe of a pirate song on this one, which could also be due to the lyrics of skulls, cannonballs, and banging drums. Conlee also adds vocal harmonies to most of the tracks and her background vocals can really alter the feeling evoked from a song. “Easy Come, Easy Go” makes me think of spaghetti westerns, with the electric guitar, the whistles and backup vocals on “you never really know” that sound almost underwater. In a different way, on “Mistral”, the background vocals give the song a very gospel-like feel. The album cover looks like a patchwork quilt, and I feel that is a fitting image to describe it. It isn’t a concept album that has the obvious glue of a theme holding everything together, but it is truly a collection of works. It is very telling of the individual aspects of each song, such as vocal harmonies or a particular guitar tone, that put each song together. Each part, put all together make What A Terrible World, What A Beautiful World a wonderful soundtrack for a winter evening drive. I picked up a variety pack of Heavy Seas a few months ago. Their Loose Cannon IPA is a staple at the beach bars I frequent during the summertime, and I’ve had their barleywine and pumpkin beers, but not much else. First of all, I want to say that their variety pack is great because it is not simply 4 different IPAs. It is actually 4 very different styles of beer, which I think is great. I had Red Sky At Night on draft and liked it, and in a bottle it does not disappoint. Super drinkable, nice amber color, spicy clove notes mixed with the banana-like esters- a few characteristics of Belgian yeast strains. It’s a farm beer for people who might not work anywhere near a farm. I did not actually realize this one was 7.5%, but the passed out parrot in a hammock on the label should have been more of a warning sign to me. THE PAIRING: I wanted to do a saison for this one. The style is traditionally brewed during the cooler months, then conditioned in bottles until the summer to be drunk by farmhands after a long day’s work outdoors. While this album was released in a chilly winter month, I feel like it will endure and age well, for revisiting during the summer. The saison style is also unique in that there are many different varieties of it. This album borrows from many different styles and instrumentation, yet they all fit nicely together. I realize now after listening to a few of the Decemberists’ records that they are all a little different. I find that it is difficult to believe that that one can truly dislike all saisons, since they are all so different. It is hard to pin them under one specific set of characteristics. In this way, I would feel myself doing a disservice if I grouped all the Decemberists’ music under the “folk rock” umbrella. Why specifically Red Sky At Night? Aside from the fact that many Decemberists tunes have a specific sea-faring theme, it is a simply a saison that I have been enjoying lately. Much like how it took me awhile to get into the Decemberists, I had to try a few different saisons before I fully appreciated the style. and one last fun fact, the video for “Make You Better” is of the band playing and drinking beer on a German talk show hosted by Nick Offerman. Check it out below, I can’t describe it any better than what it is. Posted on January 28, 2015 October 18, 2016 by nowbeerthisPosted in ReviewTagged music, n, newmusic, records, reviews, saisons.